U.W. Clemon, educated in the segregated public schools of Jefferson County, decided to become a civil rights lawyer at age thirteen. His early involvement in the 1962 boycott of Birmingham’s downtown stores and his fight to end the segregation of the Birmingham Public Library earned him the designation of one of Dr. Martin Luther King’s foot soldiers in the Birmingham civil rights movement. As a young lawyer, Clemon was a member of the Adams, Baker & Clemon law firm. In 1974, Clemon became one of the first two blacks to be elected to the Alabama State Senate since Reconstruction. In his two terms, he chaired the Rules and Judiciary Committees, respectively, and vigorously opposed Governor George C. Wallace on various racial issues. 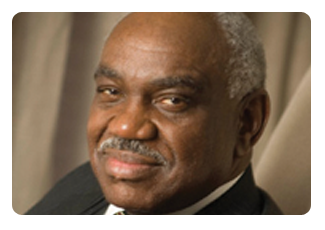 President Jimmy Carter appointed Clemon as Alabama’s first black federal judge in 1980. He served as Chief Judge of the court from 1999-2006, and he is credited with addressing some of the most important issues of our time. Under his administration, the court adopted a more juror-friendly and representative jury plan, increased minority presence in the workforce of the court, and transitioned to electronic case filing and management. He has served on the executive committee of the Eleventh Circuit Judicial Council. He and his wife of 44 years, Barbara Lang, are members of Sixth Avenue Baptist Church of Birmingham, where he serves as a deacon and member of the 100-voice Male Chorus. He is a member of Alpha Phi Alpha Fraternity.